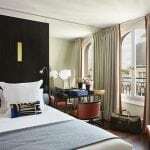 There’s more to Hotel Montalembert than its ultra-ideal location on the Left Bank. 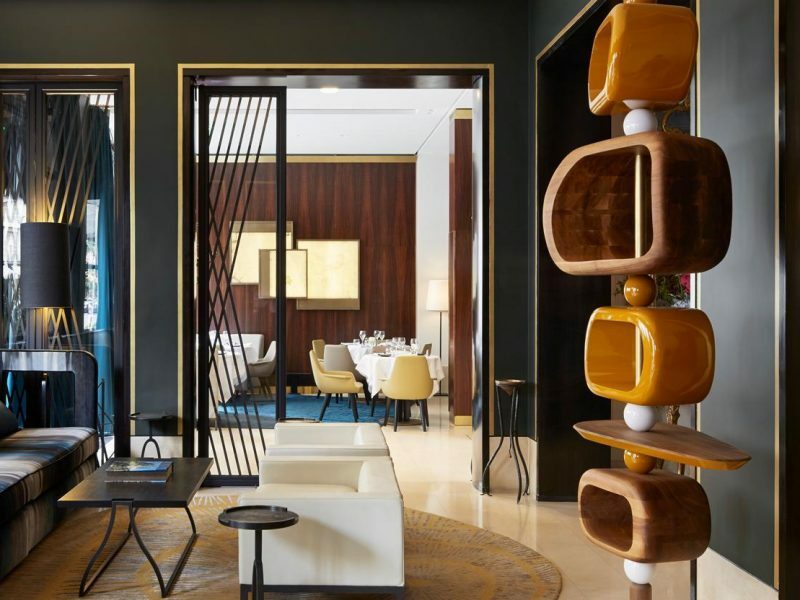 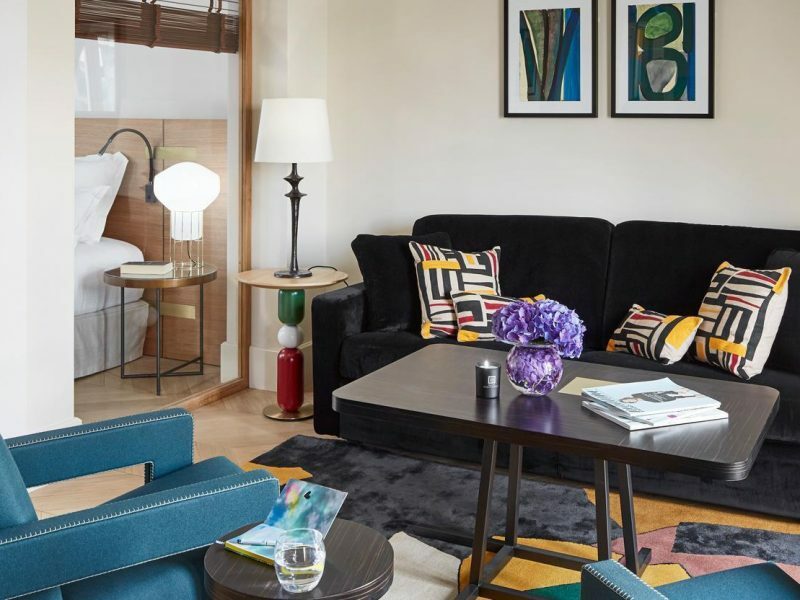 A consistent favorite among savvy travelers, Montalembert was one of Paris’ first boutique hotels, and underwent a renovation in 2016 to help preserve the look and feel of the space that has been a longtime favourite of the city’s artists, writers and thinkers. 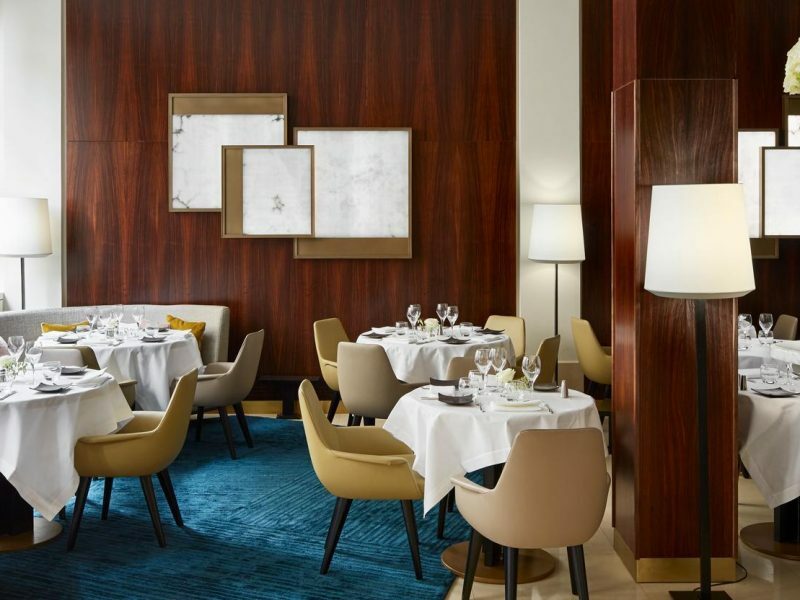 For an extra special dining experience, the terrace is the perfect spot to enjoy lunch or dinner. 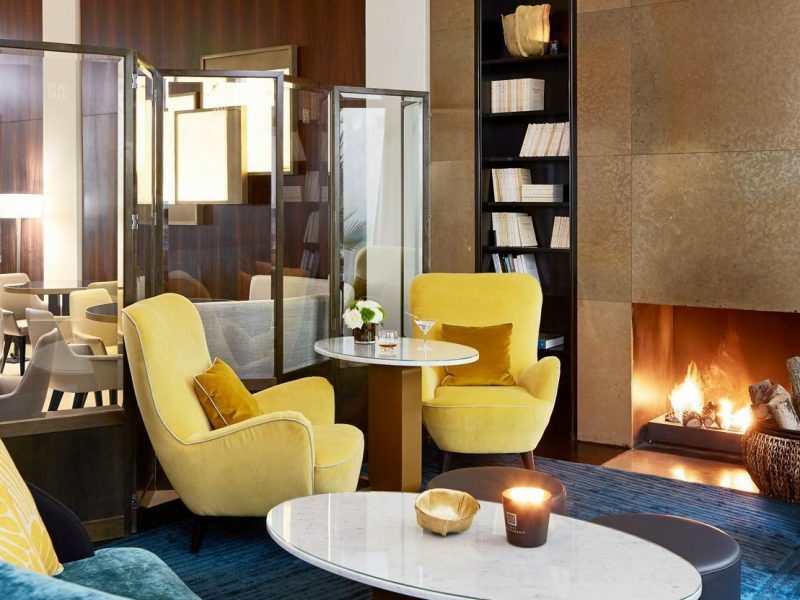 The velvet yellow armchairs in the library and fireplace area are the perfect spot to sink in and enjoy an evening drink or a good book. 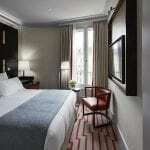 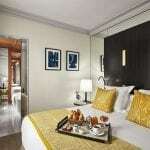 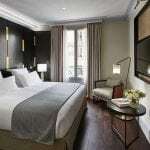 Tucked away on a quiet street, Hotel Montalembert is just a short walk across the Seine River from the Louvre Museum. 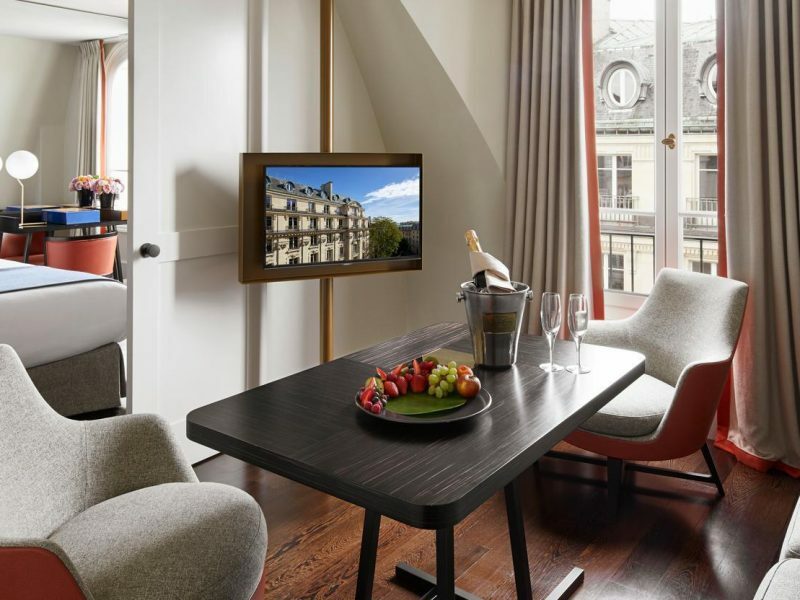 The outstanding conciege service can help you with anything from booking a table at that hard to get into restaurant to tickets to the must see show to finding babysitting services for your little ones.